Now is the time to prepare for your prescription drug co-pay reimbursement from the CSEA Employee Benefit Fund. The EBF reimburses co-pays and other out-of-pocket costs for prescription drugs which are not covered by the member’s regular prescription drug plan once annually, up to a maximum of $150 per family per calendar year. Prescriptions must be dispensed by a licensed pharmacist. 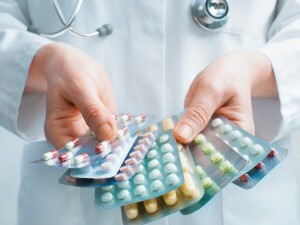 Drugs, vitamins, diet supplements, etc., which can be purchased without a prescription are not covered. Complete the claim form (Co-Pay Reimbursement Claim) and submit with your itemized pharmacy printout and/or Explanation Of Benefits (EOB) from your health insurance carrier when you have reached the maximum benefit(s) for the current calendar year. If you do not accumulate the maximum allowed, submit your claim after December 31 for what you did pay. Cash register receipts, original pharmacy/physicians receipts and cancelled checks are not acceptable. The claim form requires your EBF ID Number. This number can be found on your EBF card, not your CSEA union card. If you do not have an EBF card, you can call EBF Member Assistance at (800) EBF-CSEA or (800) 323-2732.